It's started March 6, 2010. There has been this girl who's been sending her online friends to attack me. See, I did the right thing. I blocked her. I called the police, which wasn't much help. The police just said to add privacy settings. But now, her friends are coming after me publicly. All privacy settings manage to do is keep people from mailing me. A person has to be my mutual friend. Now, it's gotten to the point where I feel like I have to delete my account, which I ALREADY had to delete one account because of her. So, what? One jerk is making it so I have to delete both accounts, worst part is, I have no idea what I did to often her. I was nothing but nice to her. and according to research, most stalkers leave you alone within a year. Well, I have blocked a bit of her friends, but it just seems like this will never end. When I was in High School, I have learned something. When an enemy can't move away, then the best way to destory your enemy, is to get them to destory themselves. I don't really know how to do that, because she lives a million miles away. But even though she's a million miles away, there must be something I could do so I wouldn't have to destory another account because of that lunatic. Like I don't know, she sends her friends to attack me. Maybe there's a spell to make your enemy hated. To make your enemy lose all their friends. I mean, there is a spell to break of lovers, their must be a spell to make an enemy lose their friends. I mean, it would be a different story if their friends was a positive influence on them, but instead of being a positive influence. All she is doing is sending her friends to attack me and it's been happening for 5 months, now. I am, 21 yr old, and we just happen to like the same celebrity. That's how she found me, we like the same band. It will even help me if she would lose interest in my favorite band. It's a lot like, I used to be a huge fan of My Chemical Romance, then their new CD stunk and I didn't care about them any more. Some with HIM, I didn't like their new CD, so I moved forward. So, if their was a spell to change her interest, that would help, too. I just want her to leave me alone, permantenly. Do a search on mirror boxes. A binding and reversal spell should do the trick. They've been talked about extensively. Devi is excellent with them as are many others. You also need to work on some cleansing and protection. I would get some Firey Wall of Protection from LM. If you work with saints then St Michael would be a good one to work with. Also remember bullies tend to bully people that they know they can get to. Do your best to just ignore them. When she realizes that it's no longer working with you no matter how many "friends" she sends after you she'll move on to someone else. Edit: I just realized I didn't answer your question about making your enemy hated. I'm sure someone will be along with more experience to answer that part but I personally would work on protecting myself first. Also, will cleansing and protection fix in damages to my reputation that she might have caused? I don't know, she gets people to attack me someway. I don't know. How she does it. Maybe they are just natural lackies. People who would attack anyone good or bad just because their friend told them, too. Which is why I strongly want to separate her from her friends. Or for her friends to stop being deceived and realize that she's a stalker who is obsessed with me. You can approach this in a variety of ways. If you want to merely end their interference in your life then you can work a Fiery Wall of Protection conjure along with Stop Gossip work. The Stop Gossip work will keep them from speaking about you and the Fiery Wall of Protection will protect you in an aggressive manner. Should these people attempt to harm you again they'll be removed from you life. This may be the best solution for you. To give them a piece of their own medicine then place them in a mirror box. Make a dollie or representation of them (wax figure candle can be used) and place this in a box that is lined with mirrors all facing inwards. Make sure you don't capture your own image in them. Sprinkle some Blackberry Leaves, Reversing powders, and similar products and close the box and burn a butted reversal candle on it. Bury the entire set up in a dark hole. To take this a step further and turn everyone against her, take your enemy and put her in a vinegar jar. Just her by herself in the jar, no one else. This will sour her life, turning her friends against her and turning her against her friends and will make her life bitter. Any of these will accomplish what you seek, you merely need to decide how far you wish to take it. ConjureMan wrote: You can approach this in a variety of ways. If you want to merely end their interference in your life then you can work a Fiery Wall of Protection conjure along with Stop Gossip work. The Stop Gossip work will keep them from speaking about you and the Fiery Wall of Protection will protect you in an aggressive manner. Should these people attempt to harm you again they'll be removed from you life. This may be the best solution for you. Will the vinegar jar work by itself? If so, I could get started with that immediately, while I wait for the Stop Gossiping and Fiery Wall of Protection. I want her and her random friends out of my life forever, so I could enjoy some peace. and never have to worry about being attacked again. Yay! May I have your permission to copy this and keep it in a PRIVATE entry? No one will see it except me. I just want to keep your advice, so I will not have to ask the same question again. But I will never share this advice with anyone, or at least I would ask your permission before sharing. P.S. I hope it's ok to spit in a jar of vingar, I hope I didn't accidentally curse myself. You may certainly keep my advice. If you continue with the vinegar jar make sure to keep yourself cleansed. ConjureMan wrote: You may certainly keep my advice. How do I keep myself cleansed? Oh. and with the vinegar jar, is their anything I could add to it to really drive her friends away from her? Also, I here that with a honey jar, you have to change it out every 6 months, do I do the same with vinegar? I mean, I don't care if she had real life friends, but I don't want her online friends to attack me anymore. 5 months is too long. and when it comes to Fiery Wall of Protection, it says to name seven guadians. Now, do I put Michael as a guardian or is Michael the white candle? Because this crap is happening online, do I name online people as my guardians? Like the maintainers and online friends? and would it be better to use real life people or saints? I've never heard of changing out a honey jar every 6 months. I have a honey jar that I've had for 7 years! You can add hot peppers into the vinegar to create extra arguments and such. A vinegar jar will eventually probably start to leak and such. At that point you can either dispose of it (hopefully your intent would have been accomplished by that time), or you can start another one. Name any 7 supports that can act as guardians. It can be friends, family, police, ancestors, etc...any source of aid applicable to the situation. You can keep yourself cleansed in any traditional hoodoo manner. Hyssop baths along with Psalm 51 is a traditional manner of cleansing yourself of sin. 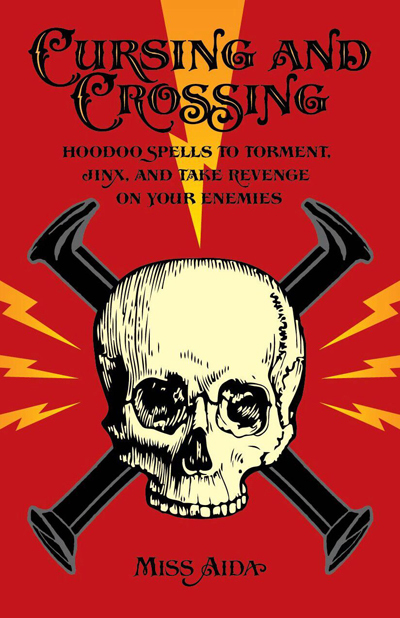 ConjureMan wrote: You can keep yourself cleansed in any traditional hoodoo manner. Hyssop baths along with Psalm 51 is a traditional manner of cleansing yourself of sin. Ah. But I'm new to Hoodoo. I've been studying magick for years with little success. Like Wicca has given me results, but it took years. 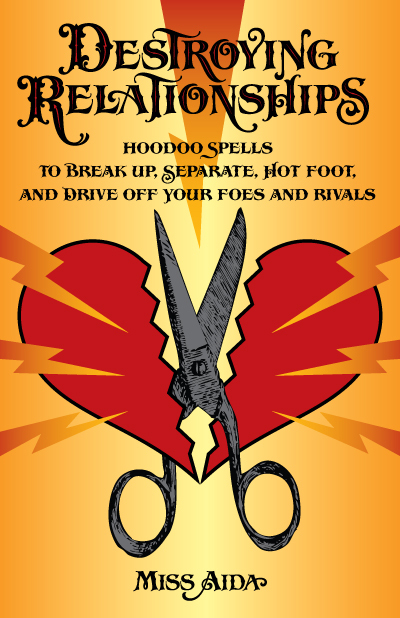 It was the success of LM that has attracted me to Hoodoo. Ever other magickal system as let me down. Well, Wicca is a religion, not a system of magic, though it embraces magic. Depending on what tradition you were studying the magic may have been more ceremonial or folk-magic oriented. But ultimately Wicca is NOT magic, it's religion. Hoodoo is a system of magic that is tied closely with protestant Christianity, not a religion in and of itself. But it still requires work, skill, and technique to be successful at. Have you had a reading to see if you are particularly gifted for spiritual work? It may simply not be something you are naturally gifted for. If it's not, then you will just need to accept that you may have to work harder to get any results, or accept that you will have to rely heavily on professional practitioners working on your behalf. There's no shame in that - it's just the way things are sometimes. Getting a reading on the matter may help you get some perspective on the matter. In any case, you may wish to consider hiring a professional to work for you until such time as you've developed enough skill to work consistently for yourself. Following what she talk about you can keep yourself cleansed while doing this work. Devi Spring wrote: Well, Wicca is a religion. Yeah. I practised witchcraft, but I only did cermonial magic once. But without all the supplies I needed. Most want you to buy a lot of things that I don't have. wand, athame, staff, pentagram, etc. an alter would need to be in the middle of the room. I don't have enough money or space for that. Even if I did have the money, I still don't have the space. So, I have used very simple candle magick. Some results were quicker, tho. Like, I did candle magick for a high score on the ASVAB. Didn't study for weeks. When I took the ASVAB, I got a high score. So, that spell work. I also casted a white magick spell to get rid of bugs, it kept my house pest free for 3 years ^^ So, I do think I have some talent. I just have no money. The Fiery Wall of Protection seems to be easy to do. All that needs to happen is for my mother to work at night again. >.> With my mother working in the day time and living with everybody again. It's hard to do, escept at night. Some things seem to work better than others, like working outside, but our druggie neighbers are out late at night. I'm back to where I was, trying to practise magick, without gettting caught. Since she is causing problems in many areas of life, I would get a reading and consultation with an AIRR worker on the matter to see the most efficient way to neutralize her ability to cause problems. Off the top of my head, I'd say making a doll baby of her and binding it up in a mirror box would be one way to approach the situation. Great ideal, I plan on getting a reading from one of the AIRR members, and thanks again Devi because she needs to be stopped. Devi could you please link me to the page for mirror boxes? Law Keep Away and Banishinq can be affective too, so he can be able to conduct his business in private. I cannot STAND nosey people....thats just me, stop questions, stop lookinq, stop all of it, and leave me and my business alone. I'm fairly private as you see haha lol. But its weird because I want to become famous. :/ haha. Also take into consideration with that DollBaby trickk. Love it. I got into a simple debate with someone then weeks later they posted my very arguement as their own. I laughed at the post. Long story short, one of her friends trolled my business Facebook. I’ve reported it. However, I’m a studied man and this lady continuously posts things about spirituality that are just plain lies and delusional. I was thinking of using of a honey jar with some influence in it to get her to have that friend take his garbage down.. but I also want to shut her up and give her something like a cold.. I have my reasons for that. Any advice for a good combo work? The honey jar is a good idea to sweeten up your friend. You can also use a skull candle with influence oil to control her thoughts. Read this thread on influence spells. You can also use stop Gossip to have her friends end the malicious talking. These are some ideas that will help you in this situation my friend. Edward T gave you some great suggestions, and i am going to offer one more. Get Alum Powder. Write her name on a small piece of paper with a encil or china marker. Dissolve the Alum in hot water, a little water at a time until you have dissolved all but the last couple of crystals. Use a fla container. I like to make a little tray of aluminum floil with the edges rolled up by hand. Lay the name-paper in the super-saturated Alum water. Let it evaporate and the paper will be crusty all over with Alum, puckering your enemy's mouth closed. While it is still just a little moist, put it in the freezer. est of luck to you.